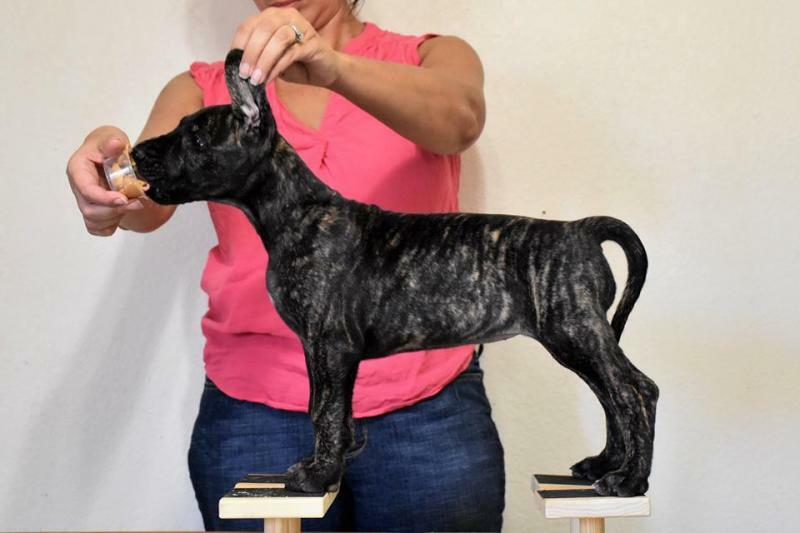 Syvile Great Danes - Rousey- January 2018- GDC of Tucson Rousey Best in Sweps and a major RWB at 6 months old!March 2018- GDC Las Vegas Major RWB. 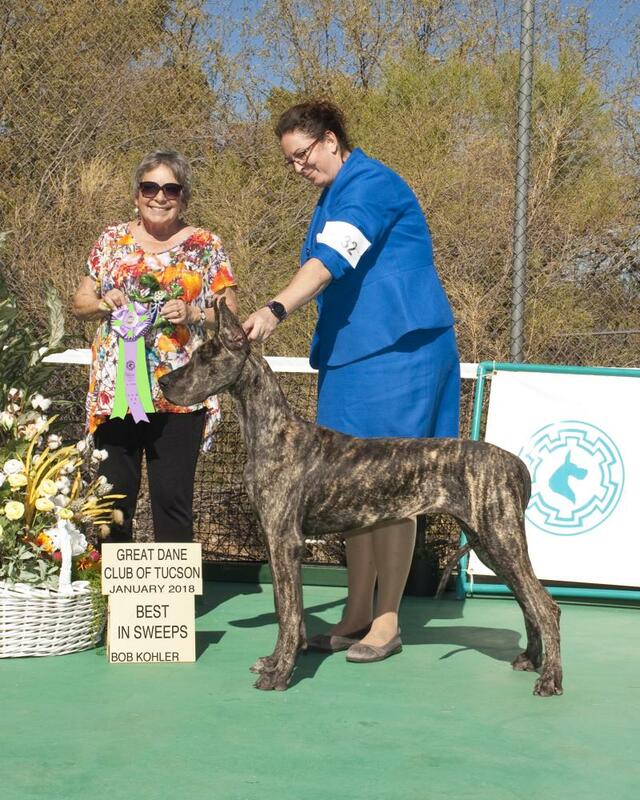 January 2018- GDC of Tucson Rousey Best in Sweps and a major RWB at 6 months old! March 2018- GDC Las Vegas Major RWB. Breeder/Owners: Lisa Hernandez, Barbie Skeen, and Shayne Anderson. Lives with Barbie Skeen! 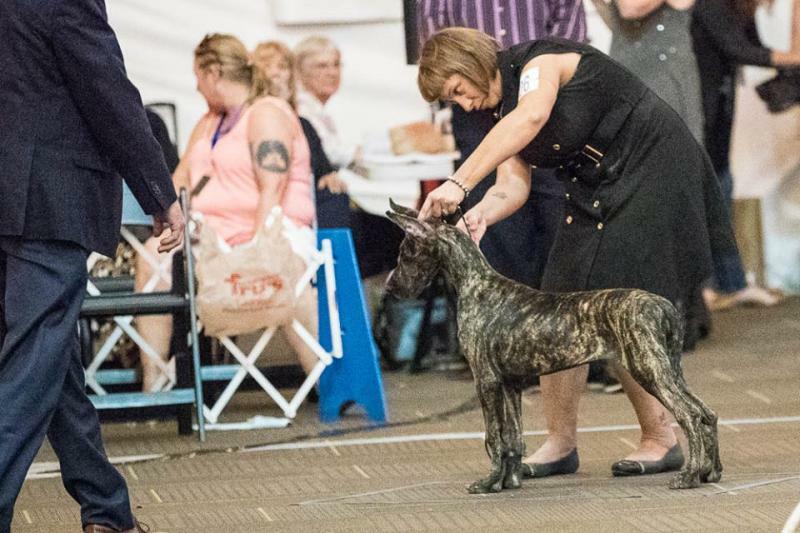 Rousey will be Breeder/Owner handled by Barbie Skeen. She is being shown on a very limited basis.